Home Smartphones Gionee GN9005 claims to be the slimmest among smartphones. An upcoming china phone with just 5mm thick and is on its way for the world record , is nearly unbelievable to ears. But Gionee has tried to make it possible . It will come with 4.8 inch and 720p AMOLED display and it is already approved by china’s TENAA authority which means it would be available sooner. Some other specs include a quad core 1.2GHz processor with 1GB RAM. Inspite of its thin waistline , the phone is to have a long life as it has the 2050mAH battery. Its has a 8MP camera and 720p video recording and may be 5MP front camera . 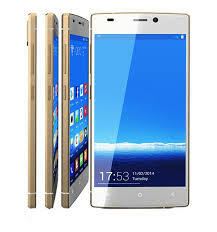 Although it will run on Android 4.3 Jelly Bean , Gionee knows how to steal the user’s hearts. Next articleHuawei Honor 6 Review.